Individual longevity plan – the complex of actions to provide a patient for personal recommendations and carrying out medical measures, that were developed according to the tests of health validation, considering genetic features, rhythm and the way of a patient's living, his region of residence. This procedure takes into consideration adaptive properties and other physiological features of the body for long and productive living. The individual longevity plan allows to exclude the sensibility of the organism to different risk factors, which lead to the development of many fatal diseases. 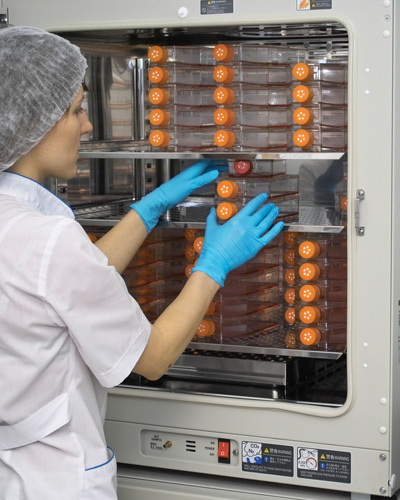 Specialists of Youth center of cells technologies have developed easily reproducible method of MSC isolation from different adult tissues, including bone marrow, adipose tissue, thymus and others. 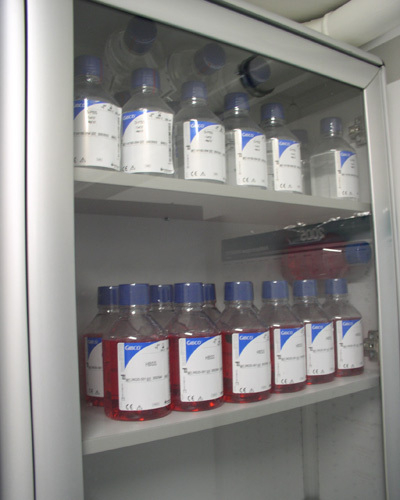 Obtained cell lines are totally characterized and their functions and morphological features are fully analyzed. Several patent were granted for these research (№2252252, №2280462, U.S. patent №7,915,039). Up-to-date biological trends imply MSC usage for biological tissue equivalents manufacture. It is well known fact that MSC are easily duplicated in vitro and able to differentiate into mesenchymal cell types (osteoblasts, chondrocytes, adipocytes, muscle cells and others). These cells features allow researchers to use this material to develop different inherited and obtained disorder treatments. Biological bone tissue equivalent in vitro fabrication. The method of in vitro bone tissue fabrication was developed in the Center of cells technology. 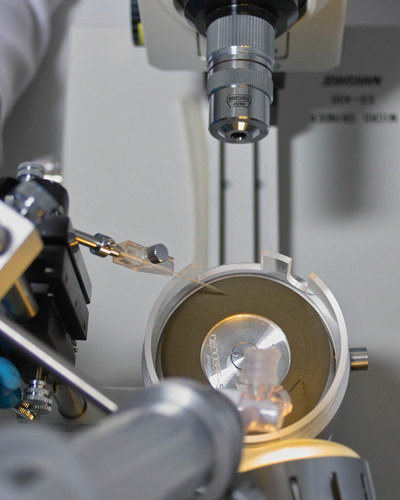 In partnership with Skryabin's Moscow State Academy of veterinary medical science and biotechnology preclinical studies of three-dimensional bone tissue grafts (TBTG) were performed. This research work is unique in Russia and is a worthy competitor to investigations of foreign companies. Such grafts enable surgeons to fill relatively large bone gaps due to tumor ablation or implants revision surgery, and also in case of large bone fracture healing and limb lengthening in traumatology and aesthetical surgery. Three-dimensional porous matrix for TBTG fabrication. Sheep tibia with implanted TBTG. X-ray. The Center of cell technologies specialists have developed the method of joint function repair on the early stages of destructive diseases. The method is based on adipose tissue mesenchymal stem cell application. This technology helps to treat joints in effective manner, healing damaged cartilaginous tissue with non invasive way, without any rejection. This technology can be successfully use by traumatology surgeons and orthopedists to treat and prevent arthrosis, arthritis, bursitis, osteochondrosis etc. 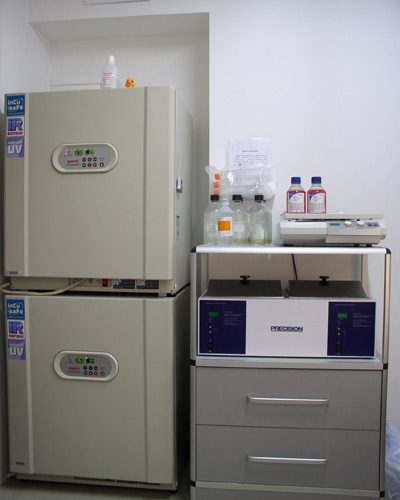 TCTG isolation for immunohystological analysis. 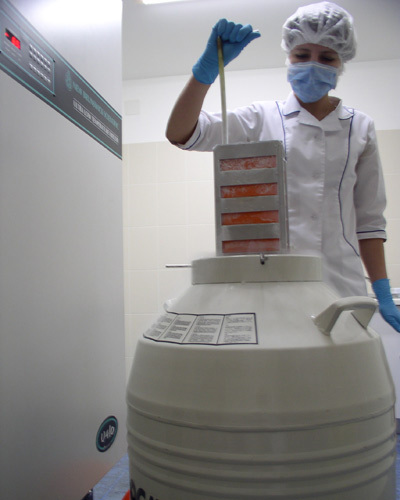 One of the first-priority «Beauty Plaza» scientific department research areas is spermatogenesis investigation. The regulation of this biological process is really complicated. Male infertility overcoming, consequences of harmful environmental factors study, including the time factor, chemotherapy, besides, improvement of artificial insemination methods, cryopreservation, transplantation of germ cells — these are just ones of the most topical practical problems of medical-biology and social significance. According to these facts, a comprehensive investigation of spermatogenesis is obvious. Our researchers develop techniques of isolation, cultivation, cryopreservation of spermatogenic stem cells (SSC), the potency of SSC as a source of pluripotent cells for regenerative medicine are investigated. Colonies of SSC, phase contrast, x200. Human endothelial cells are the perspective material for different cardiovascular diseases and ischemia (blood flow impairment of any etiology) treatments, besides it can be used for tissue transplants blood vessels in vitro formation. The Youth center of cells technologies researchers have developed the method of different sources of endothelial cells isolation and cultivation. Totally characterized cell material has an enormous potential for usage in terms of regenerative medicine and transplantation..
One of the most promising research field of the Center of cells technologies specialists is epidermal stem cell potency study to develop «three-dimensional skin equivalent» for a wide range of alopecia treatment, scars and cicatrices removal. Epidermal stem cells are in the skin basal layer (the lowest one), on the boundary with derma. Besides epidermal layer regeneration, they have capacity to restore hair follicle. 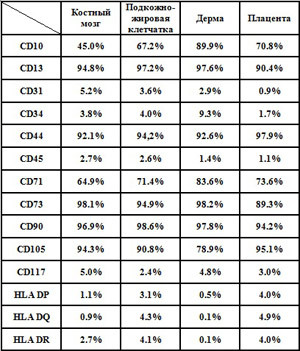 According to various data, the number of epidermal stem cells varies from 1 to 10% of the total cell number of basal layer. That's why the researchers of the Center develop different systems for EpSC cultivation to obtain the sufficient number and isolate homogenous cell population. EpSC colony, phase contrast, x200. As a result of intensive work, aimed to obtain one’s own embryonic stem cells, the method of hybrid cells was invented. This technology was patented (№2352637). Embryonic stem cells comprise the most broad range of potency to differentiation - they can give any cell type of human body. Hybrid cell obtainment helps to solve an ethical and moral questions, concerning embryonic stem cells application in medicine. Besides, their genotype is identical to patient cells, that prevents all immunological reactions after transplantation. The development of autologous ESC treatments allows to adjust various gained and inherited diseases. National bank of stem cells and fibroblasts. The process of cell material preservation is absolutely safe and secure, because it is a closed loop. 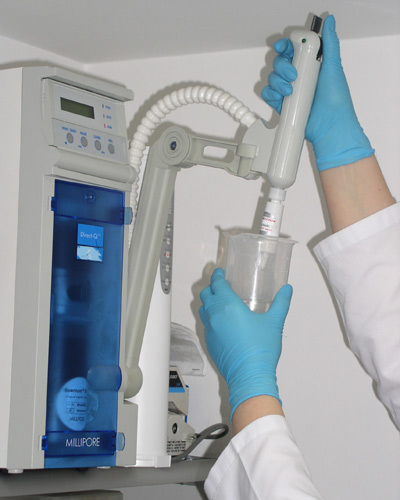 All laboratories and working rooms, where tissues are obtained, cells isolated and cultivated, stores are highly-technologically equipped, meet world's strict criteria and are a separate scientific department. 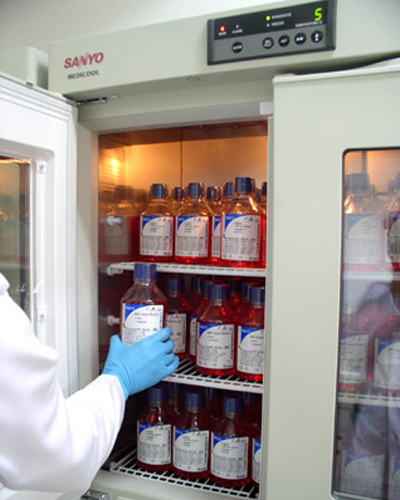 Nowadays, 4500 clients used National bank of stem cells and fibroblasts service, preserved their biological material and now have an access to totally characterized cell lines.